This doesn't really work for me, but it might for some people. 2. Make a list with all the reasons why it's better to NOT be there: with stuff like 'at least my feet aren't killing me from standing around in line all day'. Yeah, I kinda blanked after that as well. This is actually a valid option, plus you'll be so busy with visiting all the blogs and writing your posts, you won't have time to think about BEA itself (lie, but it does help). 4. Have a #bookishparty: Cass and Judith hosted an AMAZING #bookishparty on Twitter and it was so much fun! And it had drinking games! 5. Buy yourself some books: because buying books can never be a bad thing and it always cheers me up. Plus, I can totally justify it by tallying up all the money I've saved by NOT going to BEA and a couple of books is maybe 5-10% of that. 6. Make plans to go next year: this only works if you're actually going to go next year. 8. If all else fails: have a cocktail and look at other people's pictures till you can pretend you're there yourself. About 5 minutes before I saw this post I began to have major BEA envy. I am truly busy , so I haven't paid attention to the BEA chatter too much. Just a slight wistful thought like "BEA is happening right now.." and on with my day. UNTIL, I made the mistake of checking mu Instagram and seeing all the fun everyone is having! This list however was very helpful to have me calm down a little. 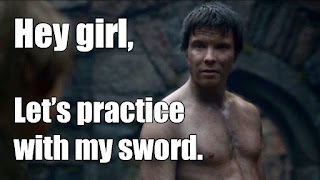 LOL Number 7: Look at a shirtless Gendry, totally made my day. LOL-I think I'll buy more books. I have the BEA blues big time. I really would love to go next year, but it depends on my job situation. Buy yourself some books -- thanks for giving me the perfect justification! I can buy oodles of books this week because of all the money I saved on airfare and hotels!! I'm loving Armchair BEA -- what a great way to connect. 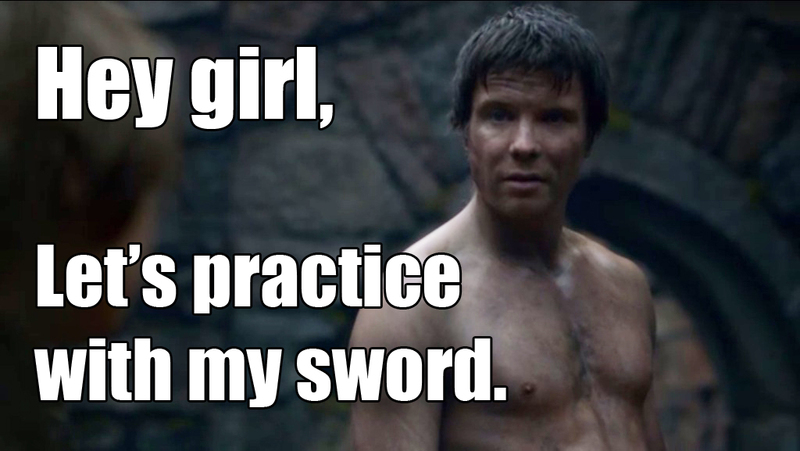 And shirtless Gendry? LOL. That'll cure the blues, whatever the cause. And I have the same happy-jealous feeling you do, something should invent a word for this! LOL I love this list. You are funny :) Not all of us can take off work and travel to attend a conference that is for a hobby, so we make do hehe. And the bookish party was so much fun!! Great suggestions! This time last year I hadn't heard of BEA, so am really glad to have found ArmchairBEA so I can pop around to so many blogs and meet knew people. LOL I did exactly ALL of those things. Armchair BEA and BookishParty were definitely the hightlights! And I just finished ordering a ton of books too! I totally have BEA blues =/ #5 and #7 are my favorite! And I am TOTALLY checking out Armchair BEA.